Dress your saddlebags in style. 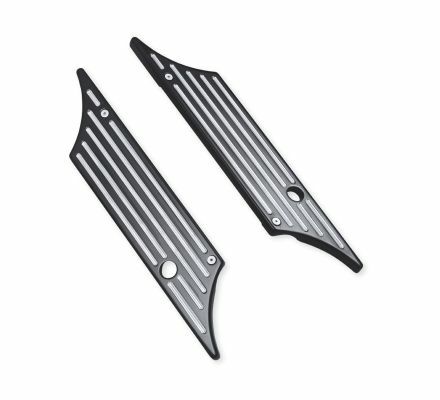 Edge Cut Saddlebag Latches feature a rich black anodized finish that is machined to expose the highlights of raw aluminum. 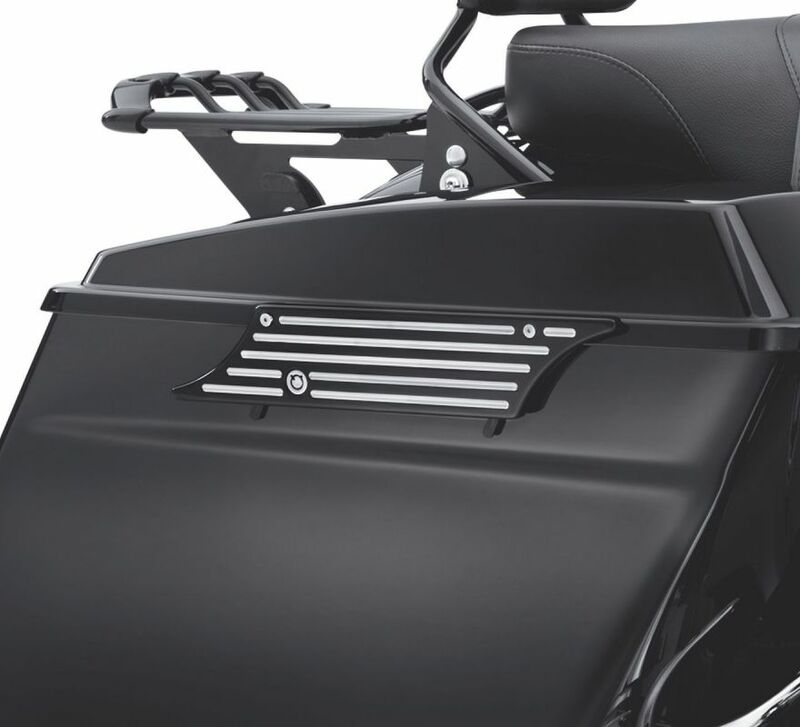 Fits '93-'13 Touring models equipped with hard saddlebags. HDI models require separate purchase of Reflector P/N 59289-92 and 59290-92.